Basketball wear brand AKTR (Actor) from Japan opened its first flagship store in Tokyo in Komazawa last December. Following the Osaka-Shinsaibashi, which started early in 2015, the second store opened. 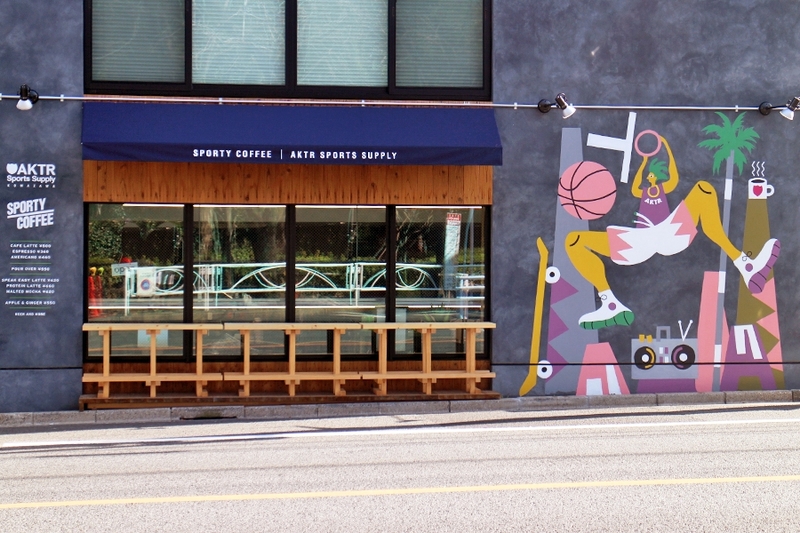 The store also has “SPORTY COFFEE (Sporty Coffee)”, and you can enjoy full-fledged coffee that Mr. Toma Ozaki, a top barista who has won many world-renowned competitions. The espresso bar is designed and supervised by Mr. Hiroshi Sawada, who develops "SAWADA COFFEE" in Chicago, USA, resulting in a unique and extremely stylish finish. It is not only possible to buy AKTR items that can produce a lot of high-fashion clothing that goes beyond sports, but it is also a spot where many sporty and fashionable people gather, as they can drink good drinks. In addition, the outer wall of the store has drawn an art by the artist "DRAKECEREAL (Drake serial)", and it is an eye-catching existence from a distance. Drinks range from standard espresso drinks to something that you can not taste anywhere else, and it is a space where you can spend a relaxing time while watching a basketball game in the store, so you can enjoy it by yourself or with friends.